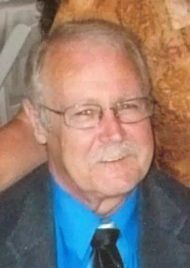 Francis “Frank” A. Miller, Jr., 70, of Lititz passed away at home on Saturday, March 30, 2019. Born in Queens, NY, he was the son of the late Francis A. Miller, Sr. and Arline (McCarroll) Stauffer. Frank was a US Navy Veteran, honorably serving in the Vietnam War. He was stationed on the USS Yorktown, now in dry-dock in Charleston, SC. Frank retired from Tyson Foods as a long-distance truck driver. His independent spirit took him on many adventures around the country. He was an avid football and baseball fan and loved the Philadelphia Eagles and Phillies. Most of all, Frank cherished time with his family. Although a man of few words, Frank’s kind heart and friendly nature will be missed by all who knew and loved him. He is survived by his daughter, Shannan Hartz of Manheim; his sisters: Kathryn Nolt (Gary) of Lititz, Kristine Miller (Greg Kennett) of Lancaster and Sandra Nelson (Barry) of Mount Joy and his brother, Kerry Stauffer (Lauri) of Lititz; 2 grandchildren, 2 great-grandchildren and many nieces and nephews. He is preceded in death by 3 brothers and his stepfather, J. Harlan Stauffer. Relatives and friends are invited to attend Frank’s Celebration of Life Funeral Service at The Worship Center, 2384 New Holland Pike, Lancaster, PA 17601, on Saturday, April 6, 2019 at 11AM with the Rev. Dennis Bracken officiating. The family will receive friends at the church from 10AM until time of service. Interment will be private at Indiantown Gap National Cemetery. If desired, memorials in Frank’s name may be made to the Wounded Warrior Foundation, www.pawoundedwarriors.org, 1117 Country Club Road, Camp Hill, PA 17011.